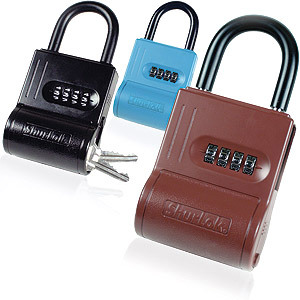 The ShurLok Lock Box was the first dial combination lock box on the market with years of reliability and durability. The Shurlok key storage lock box is the professional’s choice offering a superior key storage solution compared to other products on the market. 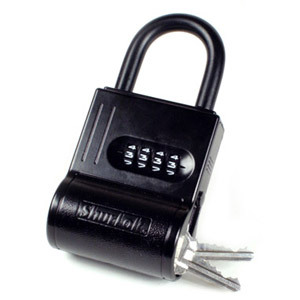 The ShurLok offers a patented dual function on one set of dials which allows one combination to be used for the key compartment and another combination be used for the shackle-- and the combinations can be changed in seconds. It’s all metal construction and hardened steel shackle make is the safest, most secure key storage solution on the market. 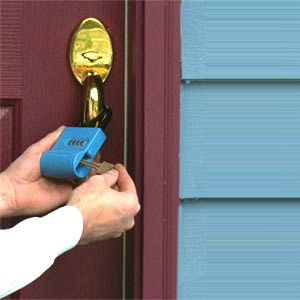 The ShurLok fits on any door knob or it can be secured on gates, fences etc. The optional accessories such as the mounting bracket, LeverGrip and cable give it an unlimited number of flexible applications. 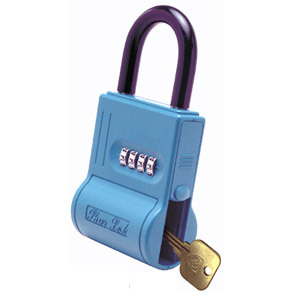 The ShurLok is so simple to use and even a child can open it yet its versatility makes it the perfect key storage solution for a variety of applications such as storing a spare house key, realtor lock box, access for contractors on construction jobs, storing keys to your boat, access for house sitter, etc.